Home » Blog » Uncategorized » Why Should You Do Yoga? T.K.V Desikachar details in his amazing book ‘The Heart of Yoga’ the obstacles that may prevent us from practicing or even starting Yoga. Lethargy, doubt, impatience and distraction are amongst them. He explains that the information in Patanjali’s ‘Yoga Sutra’ highlights that the obstacles are rocks lying on the path travelled by someone who has set set of on the yoga journey. 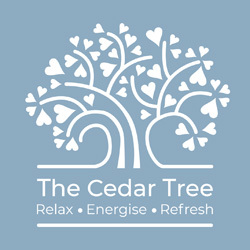 If you have obstacles that prevent you from starting or carrying on with Yoga take some time to identify what your obstacles are and what can be done to overcome them.The Cedar Tree will be introducing a variety yoga classes in our new Blandford Forum home, so hopefully we will be able to help overcome some of the rocks on your path. You can’t touch your toes? It is a common fallacy that you have to be flexible to practice yoga; flexibility is what yoga can give you! You sit at a desk or are on your feet most of the day? Improved posture helps to combat the demands placed on our body by the working environment. Most of us are familiar with stress, anxiety or worry; each can cause adverse effects on our health. Yoga is great for relieving the symptoms and helps to quiet the mind. It can help gain perspective and improve your mood. Whether it is due to work, sport or from an accident, yoga can help create length, flexibility and strength in the spine. You are a runner and your hamstrings are tight. You are a diver and you want to improve your air consumption. You are a horse rider and want to improve safety in the seat. You are a weight lifter and have little flexibility. You are a climber and need focus, strength & flexibility. You play golf and want to increase your swing range. You have an injury and want to improve recovery time. All Yoga incorporate Asanas (yoga poses) Pranayama (breathing exercises) and Relaxation Techniques.